Visibly thanking God for his provision and committing ourselves to God’s mission for his church. ​​We want to be good stewards of the financial resources which God has given to us. Having a ‘promised’ commitment from each member helps us to plan our budget. 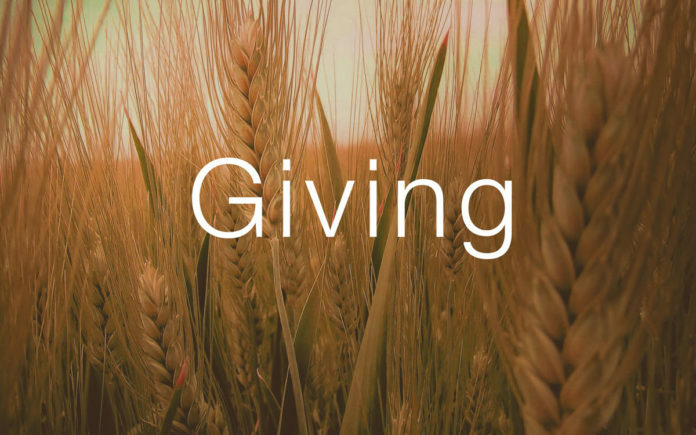 We want Christians to make informed and responsible decisions about their Christian giving. Christian giving should be done with enthusiasm and joy. Our church council has the task of supervising Christian giving and ensuring that members are growing in their obedience to God and thankfulness for God’s provision. What is my offering used for? ii)and provide for retired RCSA ministers. iii)maintain our existing buildings and property. How can I give to RC Bult? Cash – Please place the cash inside an envelope. Write your NAME, SURNAME and WARD/SMALL GROUP on the envelope so that we know who the money is coming from. Place this envelope in one of the brown tins in church or in the collection basket. EFT – Banking details are provided on the form. Please use your SURNAME, INITIALS and WARD/SMALL GROUP in the payment description. ​What if I am not a member? Cash – Please place the cash donation which you would like to make inside an envelope. Write the description INTERNATIONAL on the outside of the envelope. EFT – Please use the description INTERNATIONAL in any EFT transfers. What are our cash offerings collected during the service used for? The love offerings which we give during the service are used for a number of different and specific ministry activities which are focused on promoting fellowship/community amongst church members. These offerings are used by our deacons to care and provide for individual church members who are in need.